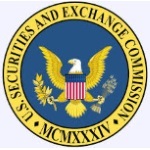 Diana Tani is an Assistant Regional Director in the SEC’s Los Angeles Regional Office and Division of Enforcement’s Market Abuse Unit and Cyber Unit. As Assistant Regional Director, Ms. Tani supervises attorneys and accountants responsible for investigating possible violations of the federal securities laws. Ms. Tani has been an Assistant Regional Director since 1994, supervising a wide array of matters, including insider trading, misconduct of broker-dealers and investment advisers, market structure issues, and issuer disclosure, accounting fraud and auditing failures.